If you speed, you will have to face the consequences that follow. Those flashing lights signifying a police officer pulling you over can be a really stressful thing to see in your rearview mirror. But the stress of getting a ticket isn’t the end. Once the officer pulls away, there are still consequences to speeding waiting for you down the road. Points are added to your driver’s license every time you receive a citation or are arrested for a traffic-related crime. The more points you have on your license, the higher your insurance premiums will be and the closer your license is to getting suspended. Too many points and your license can get suspended or revoked. The safest way to avoid all of these penalties is to simply adhere to the speed limit. You’ll get where you need to go as safely as possible! 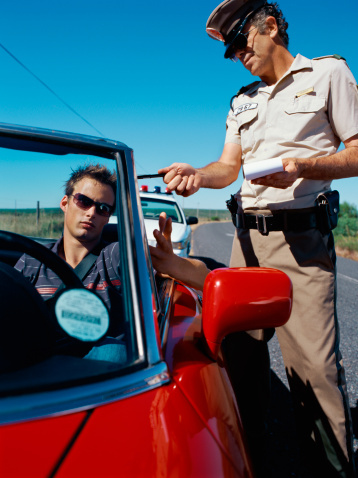 While we can’t help you avoid the consequences of a speeding ticket once it’s issued, we can help you take care of it quickly. Bring in your citation, your driver’s license and your form of payment and we’ll give you all the necessary information to satisfy the requirements of your citation. We’ll see you soon!